Throughout 2017, there was a new movie based on an old franchise released almost every week. It was the year of the remakes and reboots, with movies including Ghost in the Shell, Kong: Skull Island, Beauty and the Beast, Power Rangers and The Mummy being just a few of the most talked-about releases. It appears that 2018 will be very similar, with numerous reboots scheduled to hit cinemas over the coming months. There are staple games for every generation and platform. For Nintendo players it’s Super Mario Bros., for online slot fans it’s Rainbow Riches and for PS1 owners it was Tomb Raider. 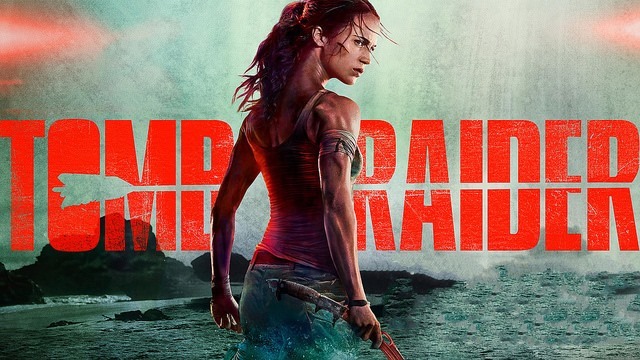 As of writing this, Tomb Raider has already been in cinemas for about a month. Directed by Roar Uthaug, the movie is itself based upon a reboot of the iconic video games series, which began in 2013. Considering what could have very easily gone wrong in this movie – just look at the older Angelina Jolie movies, for example – this release isn’t all that bad. Alicia Vikander is fantastic as Lara Croft, while the approach is far more relatable than any previous movies starring out favorite Englishwoman. Unfortunately, the story itself is a little lackluster, something that all movies based on video games seems to suffer from. It seems there’s no stopping Disney when it comes to giving their animated classic live-action remakes. One of this year’s most anticipated reboots is Peter Pan, directed by David Lowery who achieved previous success with Pete’s Dragon and indie-darling Ain’t Them Bodies Saints. Disney is also hard at work on a Mary Poppins sequel aptly named Mary Poppins Returns, as well as a Mulan reboot scheduled for later this year and Guy Ritchie’s Aladdin for 2019. With so many upcoming reboots, we just hope they don’t dilute the magic that was the originals. Although there aren’t many people hankering for a Robin Hood reboot, it’s happening. Or, more specifically, it’s a Robin Hood origin story directed by Otto Bathurst. The Peaky Blinders creator has promised a gritty retelling of the legendary English folklore hero, starring Kingsman’s Taron Egerton as the protagonist and Jamie Foxx as the ever-loyal Little John. According to early reports, the two will return to England following the Crusades to find the crown has been corrupted and most battle Guy of Gisborne (Paul Anderson) and the Sheriff of Nottingham (Ben Mendelsohn) to restore peace. Back in 2000, Jim Carrey starred as The Grinch in a movie that had… differing reviews. Now, 18 years on its time to bring back our favorite Christmas-hating character and give someone else a go at the story. Or rather, a couple of people, as Peter Candeland, Yarrow Cheney and Matthew O’Callaghan will all be sitting in the director’s seat for this reboot. The Grinch himself will be played by none other than Benedict Cumberbatch, so we’re extremely excited to see how this movie turns out. Following the unfortunate passing of Bernie Mac, there were no more films created in Steven Soderbergh’s Ocean’s universe. Of course, this is the era of reboots and so Warner Bros has decided to hand the series over to another director to take the franchise in a new direction. Which direction, you may ask? Well, Gary Ross has been given the task of creating a female-led version of the movie, starring Sandra Bullock, Cate Blanchett, Helena Bonham Carter, Anne Hathaway, Dakota Fanning, Rihanna and Mindy Kaling. We really, really hope this movie does better than the likes of Ghostbusters. Are you excited to see these reboots? Do you think rebooting older movies for a new generation is a good idea or simply a way for studios to make money? Let us know in the comments below.